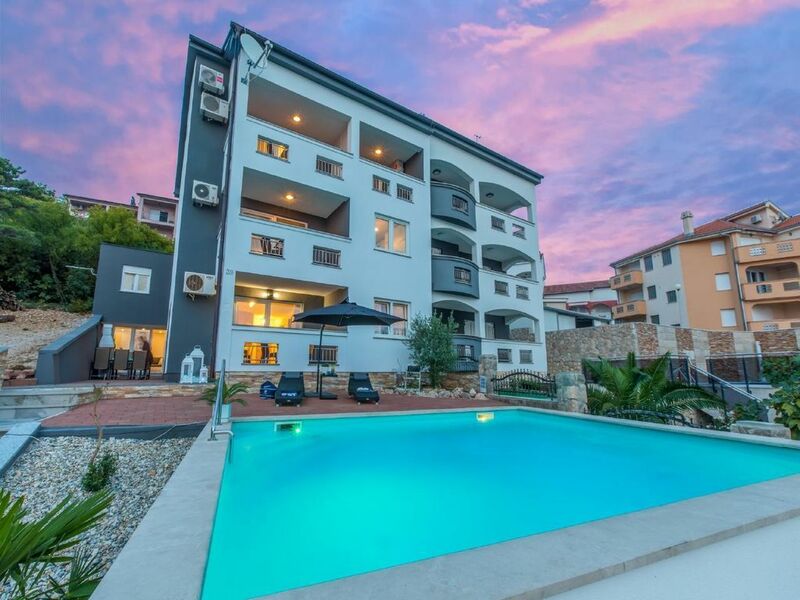 This beautiful holiday accommodation is located in a multi-family house in Crikvenica. The 45 square meter apartment in the third Floor of the house has a bedroom, a bathroom with shower, a living room with sofa bed for two people as a dining room with kitchen. From the furnished balcony of the apartment you have a wonderful view over the village to the sea. Outside, you and all guests of the house a large terrace with barbecue is like the swimming pool of the property available. SWIMMING POOL: per object and day included in the price (compulsory). Air Conditioning (per property per day, included 5 EUR). Washing machine at the landlord (per property per day, included 5 EUR).